For individuals that want unlimited education and networking for real estate. Whether you are a seasoned or newbie investor, homeowner or real estate professional, MassRealEstate offers opportunities to learn real estate investing. With membership, you will be able to connect influential real estate investors. MassRealEstate is the perfect networking organization because of the exposure it offers to your company. Our corporate members enjoy the face to face interaction with hundreds of potential customers at every meeting and special event. The benefits to this membership will be obvious to you! Our meetings are the heart and soul of MassRealEstate.net. Main meetings are held monthly in Peabody, MA. Every month you have the opportunity to attend a workshop, receive an in depth market update presentation, network with your fellow Investors and our Business Associates plus…hear a guest speaker. There is ample time set aside for networking. Many of our Business Associates elect to participate in a “trade show” like forum and host a table. This makes it easy for you to identify the business and experts you need to discuss your issues with and craft a solution. There is a community table where members can put flyers for properties they own or control and wish to sell. The general session includes a guest speaker that is an expert in a specific area of Real Estate Investing. Come early and learn from experts on a specific topic in our 5:15pm workshop. There is no other organization in Massachusetts that brings individuals and organizations interested in investing in Real Estate together with the business community that supports them and this happens every month! Create your network and support group that will help make you successful! There is no charge for members. Guests are only charges $25. Which can be credited to an annual membership of $99. Light refreshments are served. Movers & Shakers, First Friday of the Month 7-8:30PM These meetings are less formal. We begin with an introduction by Mike Hurney the Director of MassRealEstate.net on what’s happening in the local Real Estate and Financing Market. Then we have a Round Robin where everyone can introduce themselves, tell us what they’re looking to do and what they’ve had success with. Deals are made and Partnerships are usually formed during this segment. Finally, if time permits Mike will elaborate on what he’s been working on… (We seldom adjourn before 9:15 because of the important discussions. )There is no charge for members, only $5. for guests, tip for our wait staff and only $99./year to join. Light refreshments are provided. Increasing your knowledge and improving your skills will make you a more successful investor. 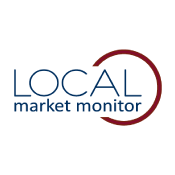 Our monthly meetings contain educational sessions plus a market update. We bring in national speakers who will host all day educational sessions on topics such as Notes, Foreclosure, Short Sales, lease Options, Subject – To and more. In addition, throughout the year our local education offers classes or Advance Simulators on Success Planning, Fast Start Fundamentals, Fix & Flip, Wholesaling, Rehabbing, QuickBooks, Creating an LLC, 1031 Property Exchange and more. Visit our calendar of events for upcoming sessions. MassRealEstate.net members may join our subgroups. Subgroups are formed to provide additional networking opportunities for Real Estate Investors that share similar interest. Subgroups are facilitated by MassRealEstate.net members and operate under guidelines from the association. Current subgroup is Wholesaling/Flipping. More Subgroups will be available in the future for Fix & Flip, Income Property, Beginners, Notes and Mastermind. To assist our members with building their team and forming their network, MassRealEstate.net has a Business Associate membership for businesses that offer services and products that Real Estate Investors need. Business Associates are invited to join AZREIA based on member referral and satisfactory completion of our evaluation process. Many of our Business Associates offer discounts or special offers to MassRealEstate.net members. Some of our Business Associates are available to our members at the Main monthly meetings making it easy for our members to build their network. MassRealEstate.net Business Associates represent many critical areas for the real estate investor including lending, title insurance, property insurance, legal, tax/accounting, construction, flooring, handymen, financial planning, property management, property wholesaling, property exchange, Real Estate services and more. We will continue to add more Business Associates in the future. A MassRealEstate.net Vendor is an organization that offers services or products to the Real Estate Investor. Vendors want to be part of MassRealEstate.net to support our mission and bring a wider array of products and services to our members. Vendors may put information on their services or on the Community Table but may not be present at meetings. Vendor membership is by invitation after completion of our qualification process. Completion of our Vendor contract is required. Vendors are given priority to become Business Associates should an opening become available in the category. Our highly educational newsletter, The MassRealEstate.net Advantage, is published monthly and contains tips on investing, topical articles from experts on subjects important to you such as title, property management, lending, legal, updates on legislation affecting the Real Estate Investor, and property postings. It is mailed monthly or may be viewed on this website. MassRealEstate.net FREE lending library contains over books, magazines, newsletters and home study courses. This is a great way to supplement your education. MassRealEstate.net is working with the Massachusetts Rental Housing Association to represent the needs of Real Estate Investors in the legislative and executive branches at our state capitol. Our desire is to understand issues or potential legislation that may affect Real Estate Investing and communicate that information to our members. We plan for our collective voices to be heard on issues that affect our members. Members have the opportunity to volunteer in a specific area of interest to a subset of the membership or the entire membership. Volunteer opportunities include helping at the monthly meeting or in the office and facilitating a subgroup. 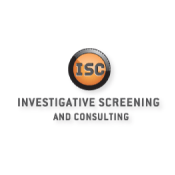 ISC (Investigative Screening & Consulting) Connect is the solution rental property owners and managers have been crying out for. We’ve combined the hands-on human element of investigative techniques we’ve always been known for with the speed, convenience, and cost-cutting power of the digital age to provide you with an all-in-one, mobile web-enabled screening process. 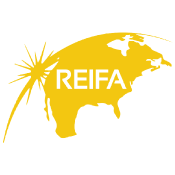 Now National REIA members receive a discounted $0.95 set up fee. There is a reason so many national and local chapters are turning to us for help. 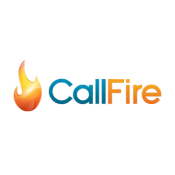 Try our platform for yourself today and see why it’s become the one tool hundreds of property owners and managers can’t live without. 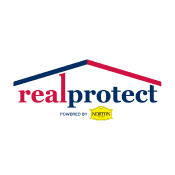 The National REIA Insurance offering through our Real Protect program with Norton Insurance was built specifically to address the unique needs of the independent real estate investor. Norton helps us to provide a wide array of products including coverage for properties being rehabbed, vacant and occupied rental properties, retail or office spaces and even those you just bought at the court house steps! Members get FREE QUOTES and an advisor to help you find the best insurance solutions for all your real estate needs. 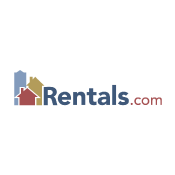 Receive up to 35% off standard listings at Rentals.com or get bulk discounts for multiple listings. An online business tool designed to rent your property faster & maximize your investment. List easily, edit anytime, reach millions of qualified renters, and save yourself from future hassles with archive capabilities – when your property is rented, your property details and photos are archived so you can reactivate it anytime! What if you took all the work that a real estate investor has to do on a daily basis – things like finding deals, analyzing properties, making offers, and finding buyers – and put it all into one system that helps you complete each task faster? 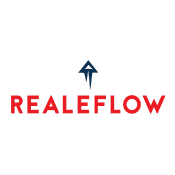 That is what you have with Realeflow. Join MassRealEstate today and become a mebmer and enjoy all these benefits.Join Now! It’s Your Workplace. Let’s Streamline It. It’s time to change the way you work. Let’s take efficiency to the next level. Let’s boost your cost savings and empower your bottom line. Let’s provide the insight and expertise needed to put your organization in control ways many never thought possible. 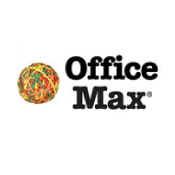 Welcome to OfficeMax Workplace, The Preferred Supplier for NREIA. We’re more than a vendor or supplier. 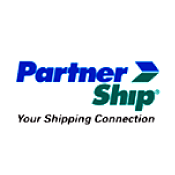 We’re your strategic partner. Your ally. Your advocate. An extension of your team-one that’s putting almost 50 years of business expertise to work for you. Streamlining your workplace is what we do best. Let’s make it happen-together. Welcome to Office Depot. 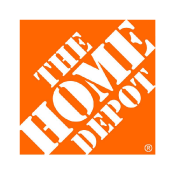 You can use your Office Depot Store Purchasing Card at any of our 1100 stores nationwide and get your custom, discounted National REIA commercial pricing. You will save up to 45% off retail store pricing on select items. You will also save substancially on all of your break room, copy, and print needs. 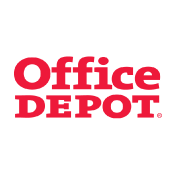 Office Depot is proud to be a preferred supplier to National REIA and is excited to help you take care of your business, while saving you both time and money. 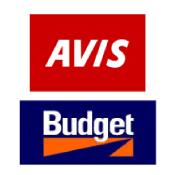 We look forward to being your partner for many years to come. 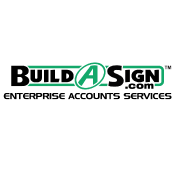 We appreciate the opportunity to help grow your business. COLLECT BAD CHECKS with BounceBack Check Recovery! Stop chasing bounced rent payments and let the professionals handle the collections. 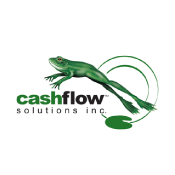 Cash Flow’s check services, recurring payments and credit card processing can also make your payments more profitable to accept.